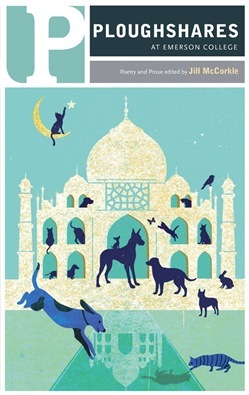 The Summer 2018 Issue. Ploughshares is an award-winning journal of new writing. Two out of each year’s four issues are guest-edited by prominent writers who explore different personal visions, aesthetics, and literary circles; the Fall and Winter issues are staff-edited. As guest-editor Jill McCorkle writes in her introduction, “Some of the most satisfying moments in fiction are those where I might gasp with shock or surprise only to immediately see that I should have known, that indeed there is a carefully scattered path of breadcrumbs that led me there.” Featuring new poetry from Wendell Berry and prose from Ron Rash, Randall Kenan, Bobbie Ann Mason, Eileen Pollack and many others, the work in this issue is connected by the presence of the ghosts of our time. Acquista Ploughshares Summer 2018 Guest-Edited by Jill McCorkle in Epub: dopo aver letto l’ebook Ploughshares Summer 2018 Guest-Edited by Jill McCorkle di Wendell Berry, Robert Cohen, Randall Kenan... ti invitiamo a lasciarci una Recensione qui sotto: sarà utile agli utenti che non abbiano ancora letto questo libro e che vogliano avere delle opinioni altrui. L’opinione su di un libro è molto soggettiva e per questo leggere eventuali recensioni negative non ci dovrà frenare dall’acquisto, anzi dovrà spingerci ad acquistare il libro in fretta per poter dire la nostra ed eventualmente smentire quanto commentato da altri, contribuendo ad arricchire più possibile i commenti e dare sempre più spunti di confronto al pubblico online.